I bought a few sweet potatoes last month to make green bean soup and ended up with one lonely sweet potato at the end. This lonely one sat in the pantry for quite some time before I decided that it’s high time to use it. So while browsing through the Cake Keepers Cake, I found a sweet potato cake recipe and decided to try it out – am not disappointed! This simple cake uses roasted and mashed sweet potato and flavoured with vanilla, cinnamon and nutmeg. Truth be told, I can’t taste the sweet potato as it was overpowered by the cinnamon and nutmeg, but it’s not a bad thing because I really love this spice combination (I wonder why I didn’t try this spice combination earlier!) There were also bits of mashed sweet potato in the cake, in which its mushy texture contrasted beautifully with the light, fluffy and moist cake. 1) Roast, peel and mash the sweet potato. 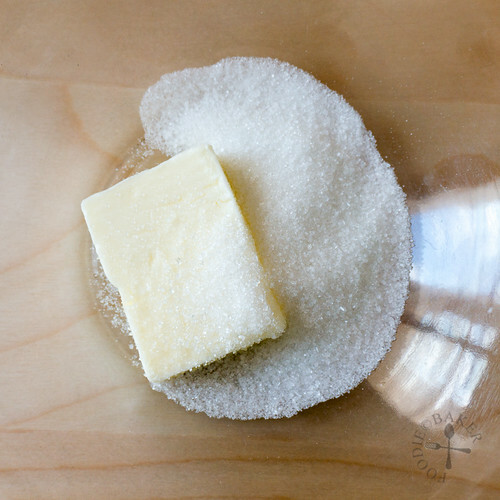 2) Cream butter and sugar until light and fluffy. 3) Beat in the egg and vanilla. 4) Followed by sour cream - the mixture will look curdly but it's okay. 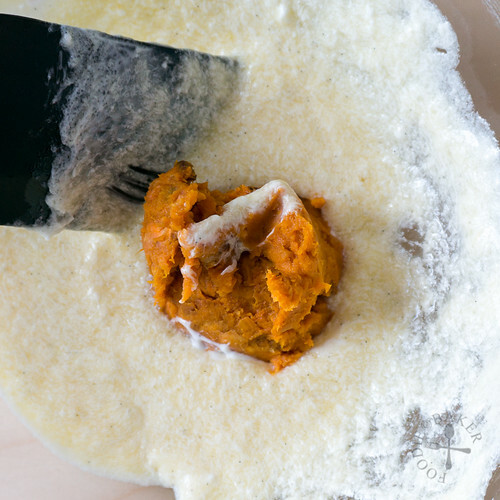 5) Stir in the mashed sweet potato. 6) Then fold in the dry ingredients. 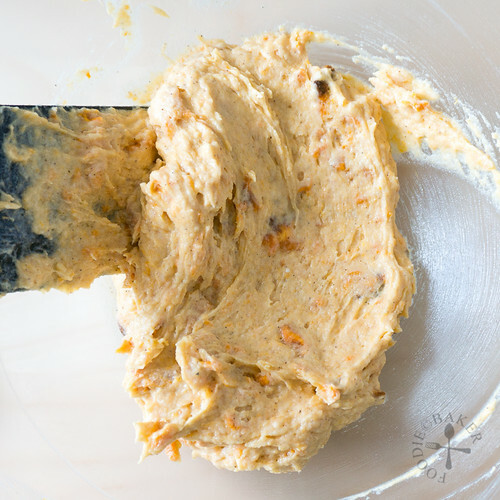 7) Look at the pretty orange batter! 8) Divide among cupcake liners and bake away! 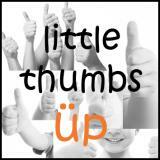 This post is linked to the event, Little Thumbs Up (June 2015: Cream) organised by Bake for Happy Kids and My Little Favourite DIY, and hosted by Diana from the Domestic Goddess Wannabe! Lower oven temperature to 175C / 350F. Line a muffin tin with paper liners. Set aside. 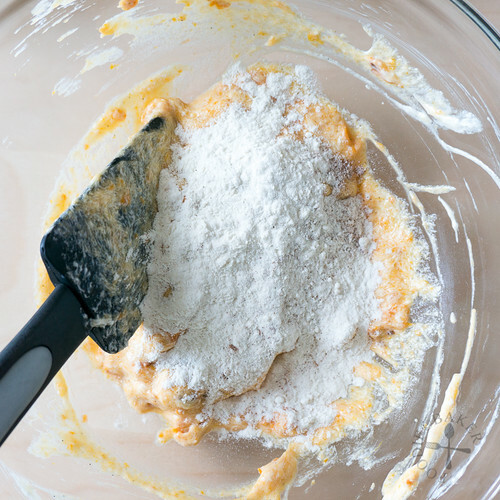 In a small bowl, whisk together flour, baking soda, baking powder, cinnamon, nutmeg and salt. Set aside. 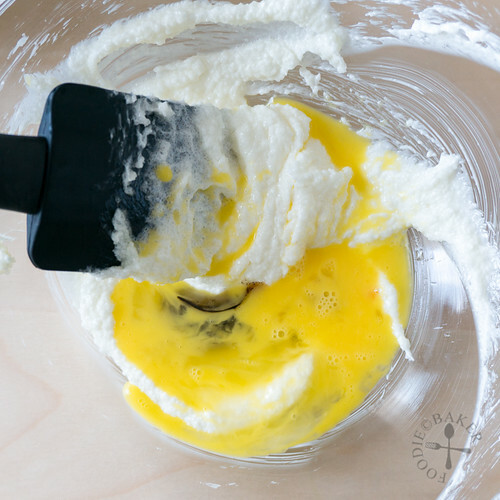 In a mixing bowl, cream butter and sugar on medium-high speed until mixture is pale, light and fluffy, about 5 minutes, scrapping the sides occasionally. Add in egg and vanilla and beat on medium speed for about a minute until incorporated. On medium-low speed, beat in the sour cream, followed by the reserved ½ cup of sweet potato purée. Using a spatula, stir in the dry ingredients until just incorporated. 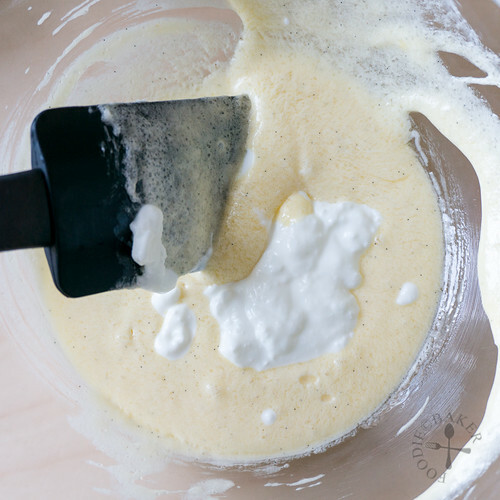 Divide the batter among the paper liners and bake for 15 to 18 minutes until a skewer inserted into the center of the cake comes out clean. Let cool completely on a wire rack. 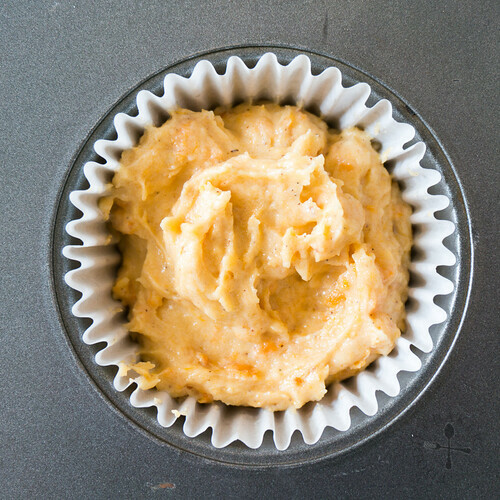 Sweet potato is a healthy ingredient to use for baking. 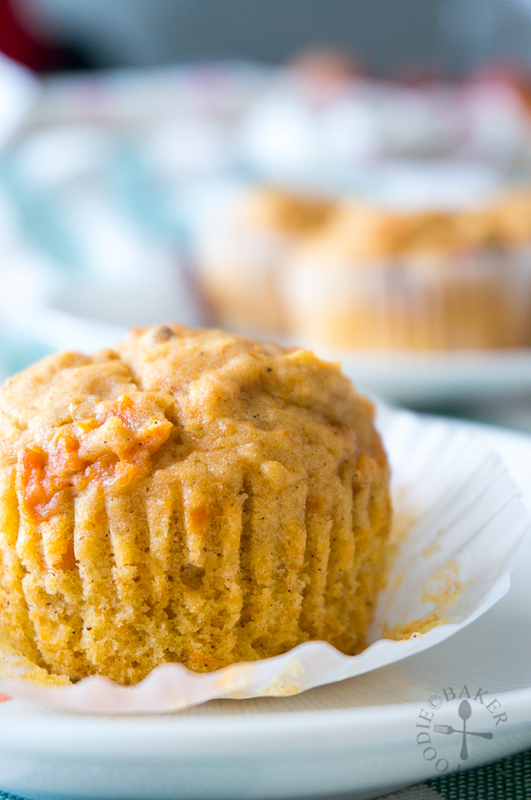 Good thing you put the lone sweet potato to good use and made these delicious mini cakes! I’m glad I managed to find some use for the sweet potato too, thanks Cheryl! Yummy cakes… Good job that you have transformed the lonely sweet potato to these cheerful cakes! I love sweet potatoes! These look great- so moist and delicious! Thanks Kimberly! Hope you will love them in cakes too! cant wait to try some!!! Thanks Dedy, wish I can send you some! The texture looks perfect and it’s pretty healthy, too! Looks like the lone sweet potato is now a happy one. I have one sweet potato in my kitchen and this sounds like a great way to use it. Thanks for the inspiration. Hi Karen, oooh let me know how it goes for you! 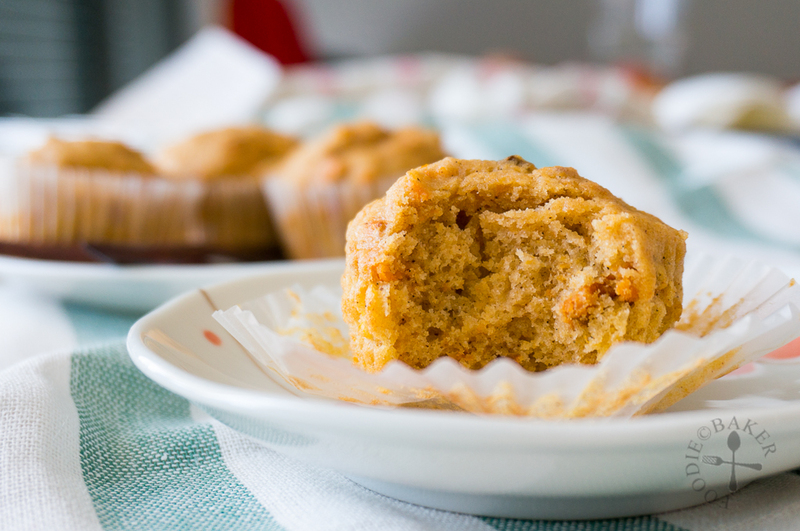 Your little sweet potato cakes look super moist and delicious. Pinning that close up for sure! I think it is difficult when you first move to a new country as you still want the old things you used to eat all the time but now you will need to switch to local cuisine. Have you tried making some of the local dishes? Did you meet any foodie friends there? Happy Baking and take care! Hi Bobbi, thanks for the concern, I feel so loved! I’m really missing the local food and durian (because it’s durian season now and all my friends are posting durian photos on social media), I’m planning to make some of the local dishes this month, hopefully they’ll turn up on the blog 😉 I wish I can meet a friend like you here, it’ll be so much fun to experiment recipes together! Have a lovely week ahead! Your so sweet Jasline! I miss you too! I am sure you will meet some lovely people soon, it sometimes just takes time. Sometimes when the honeymoon phase of the move is over, it is the most difficult time. Stay Positive! I love this!Sweet potatoes are already so delicious, but you’ve set them over the top by seasoning them to perfection! Great recipe! Thank you for your compliments, glad you like it! Never tried sweet potato cakes before (I usually have sweet potatoes roasted or else in my cheng teng) but this sounds so yummy! Actually right, I can taste more of the cinnamon and nutmeg. :p The sweet potatoes provide more of the texture and moistness to the cake, wish I can send one to you to try! I love sweet potatos and this look delicious Jasline!! Moist and delicious little cakes, Jasline! I’ll bet some chopped walnuts would taste wonderful in these too. Thanks Susan! The addition of walnuts sound delicious! 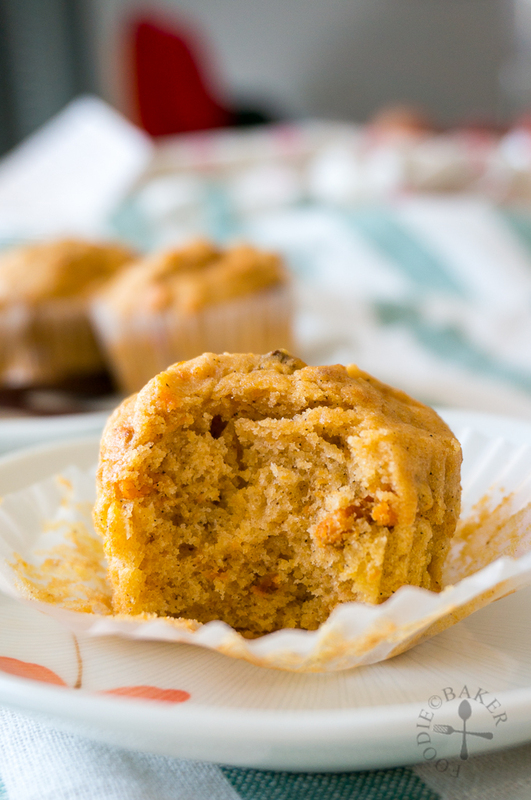 Hopefully the price of sweet potatoes will drop so I can bake these again! 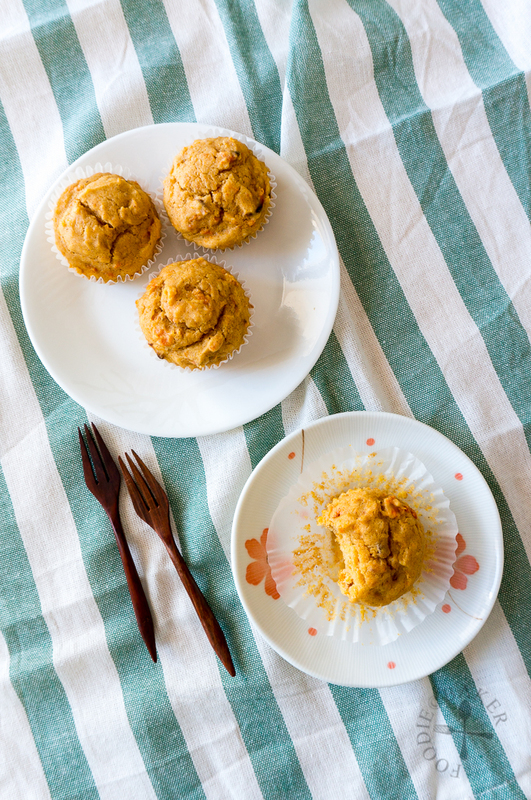 These sweet potato cakes of yours gives out the summery feel. Thanks for sharing this to LTU! Thanks Doreen! I don’t drink milk, but I’ll have a glass of soy milk with you! 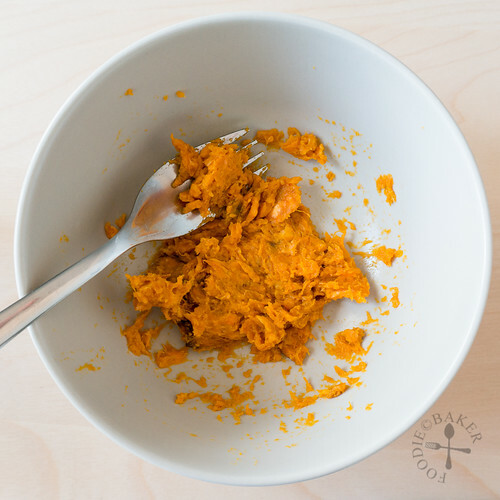 This is a most inspiring way to use sweet potatoes and the result looks amazing! Thanks Daniela! Glad you like it!